No bundles available for the selected variant. Please select another variant for bundle offers. Product information "HAIX Fire Hero 2"
The Fire Hero 2 from HAIX is a functional safety boot with an extra high shaft. The Fire Hero 2 fulfils the very highest safety standards. It is watertight, resistant against bacteria and cuts and also offers enhanced protection against chemicals. A slip-resistant, antistatic sole insulates against the cold and heat. It also complies with the fire brigade standard EN 15090:2012, Type F2A, HI3. 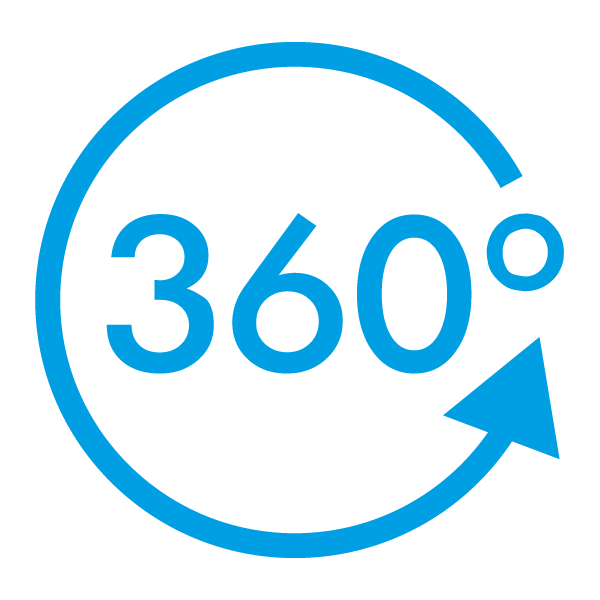 This means that it is able to withstand temperatures as high as 250 degrees for 40 minutes without suffering any damage. HAIX’s patented shock-absorption system cushions your steps as you go. This reduces pressure on the joints and spine, even during demanding deployments. The HAIX Fire Hero 2 is reinforced by stable protectors to the front and side, whilst extra padding in the ankle area and a toe cap provide protection against impacts and falling objects. The highly breathable material used in the manufacture of the boot stops your feet from sweating. Every second counts when you are called out on a job. It is also vital that your boots fit perfectly. The Fire Hero 2 has a two-zone lacing system which enables you to put it on extremely rapidly. You place your foot in the boot, pull up the fastener with a single movement and secure it. You are then ready to go. The boots can be adjusted to suit your own individual requirements before you use them for the first time. The foot and calf areas can also be laced to different tightnesses. All of this means that the Fire Hero 2 is moulded to the shape of your foot and will give you a firm grip. Fire fighters involved in rescue missions can find themselves in extreme situations. 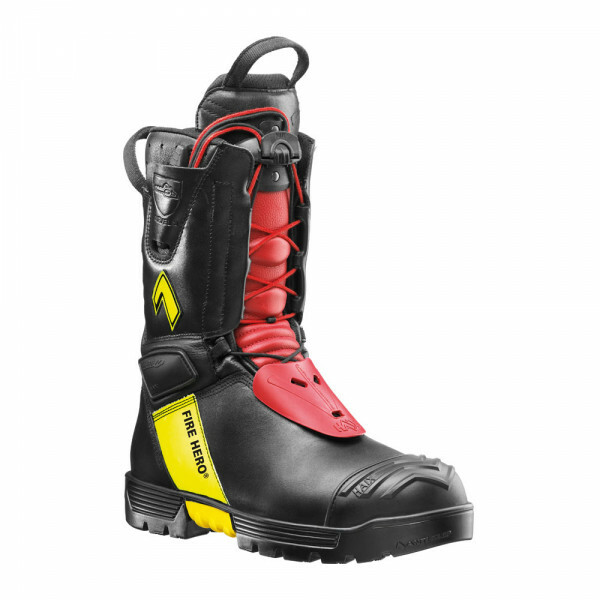 The HAIX Fire Hero 2 has been specially designed for use in wet, icy and snowy conditions and will provide you with all the protection you need. A CROSSTECH® membrane with a moisture barrier offers an enhanced shield against chemicals. This guarantees that liquids such as oil, petrol, acids or blood are unable to penetrate the boot. 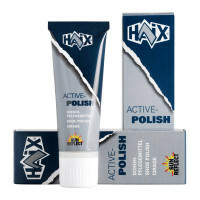 The HAIX Fire Hero 2 is also resistant against bacteria. It fulfils the requirements of the EN ISO 17249 standard, cut protection class 2. This means that it has been tested with a chainsaw operating at a speed of up to 24 m/s. The HAIX Fire Hero 2 is manufactured in high quality bull leather. Although the leather has been hydrophobised to render it water repellent, it still remains highly breathable. This means that your feet will stay dry. Special pigments reflect the sun’s rays to prevent any overheating. An additional toe cap at the tip of the boot makes it particularly hard wearing and durable whilst some extra external protectors guard against injury. The back of the boot also contains an area for you to enter your name. This excludes any possibility of picking up the wrong footwear, even when things need to move extremely quickly. The foot and calf areas of the boot can be laced to different tightnesses in order to provide an even better fit. A patented two-zone lacing system means that you can put on the HAIX Fire Hero 2 in no time at all. A bevelled heel at the rear means that it is equally easy to take off again. The CROSSTECH® membrane integrated into the interior of the HAIX Fire Hero 2 ensures that no water, blood or other body fluids can enter the boot. It also offers enhanced protection against viruses and bacteria as well as acting as a barrier to chemicals such as strong alkalis and acids. Padding in the ankle area of the boot offers protection against side impacts. A special fleece insole effectively absorbs sweat and keeps your feet dry, even when you are exerting yourself to the full. Three different insoles are available to adjust the width of the boot. These inlays are interchangeable and may also be washed if required. The HAIX Fire Eagle is shipped with the red inlay (medium) as standard. Additional Vario Fit insoles can be ordered. The HAIX Fire Hero 2 has an antistatic rubber sole with a deep tread. 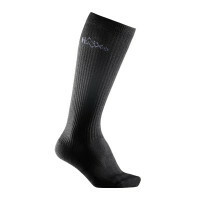 This offers a very high degree of slip resistance and will provide you with a firm foothold on slippery terrain. The sole is puncture-resistant against sharp articles. It also features a moisture barrier and offers heat insulation properties. This means that your feet will not sweat or become too cold. An impact-absorbing PU wedge makes the Fire Hero 2 an extremely light boot and will also cushion your steps as you move along. This ensures comfort of wear for fire fighters who are out on rescue missions for several hours. Additional profiling and a dual-sided heel edge in the ankle area of the boot help to ensure a secure and firm grip when climbing ladders. The Fire Hero 2 by HAIX offers fire fighters the very highest safety standards and enables them to concentrate on their core task of saving lives. Its waterproof and bacteria-resistant qualities make it a vital partner when the alarm goes off in the fire station. Try out this champion fire brigade boot yourself now.